500 books! Wow! That is impressive! I see what you mean. My case is different because my favourite genre is fantasy, and I’ve been reading less since I’ve been at uni, so making myself read mainly fantasy is more of an encouragement than a chore. My other two challenges are to read more series’ and more books on my TBR pile (and stop buying new books that’ll only sit on my shelf for months!) and so far it’s going okay. 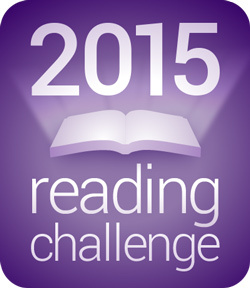 Very best of luck for your reading challenge – 500 books!!! That is unbelievable. I really hope you make it. My goal is 52 because I just got a new job working full time, so one book a week is pretty much all I can manage – especially if it’s a huge fantasy book! I love reading fantasy too but I also like sci-fi and realistic fiction. Oh yes, I know what you mean. I have so many books on my TBR pile but I’ll just randomly go and buy a couple more books. Good luck to you too! 🙂 Well as long as you’re loving what you’re reading right?